Councilor Ilan Kaufer became a member of the Jupiter Town Council in 2013 and was re-elected in 2016 for a second term. Councilor Kaufer was selected by the Town Council to serve as Vice Mayor in 2014 and 2016. Councilor Kaufer is a graduate of the University of Florida, where he received his Juris Doctor and a Master of Forest Resources and Conservation with a focus on bio-energy. He is also a graduate of the University of Virginia, where he received his B.A. in Environmental Sciences and Politics. 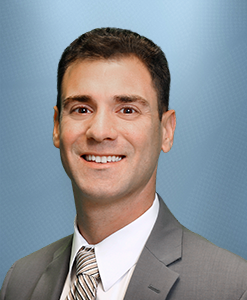 He is a member of the Florida Bar and Palm Beach Bar Associations. Councilor Kaufer represents the Jupiter Town Council on the Palm Beach League of Cities and was selected by League members to serve on its Board of Directors from 2016-Present. He also serves as the Town Council appointee to the Loxahatchee River Management Coordinating Council and as the alternate member to the Palm Beach County Bioscience Land Protection Advisory Board. He has also served on several committees for the Florida League of Cities. He is a graduate of Leadership Florida's Connect Florida Program and Leadership Palm Beach County. He works as an environmental services project manager for Florida Power and Light Company. Councilor Kaufer resides in Abacoa with his wife, Stephanie, who practices law as an associate at Roberts, Reynolds, Bedard and Tuzzio, P.A. and their 2 children. Councilor Kaufer is also a frequent participant in many local running and triathlon events, and can frequently be seen running or biking around Jupiter. He and his wife actively participate in local events and volunteer their time with local community organizations.